Will Trad's $800m West Village Call-In Actually Do Anything? 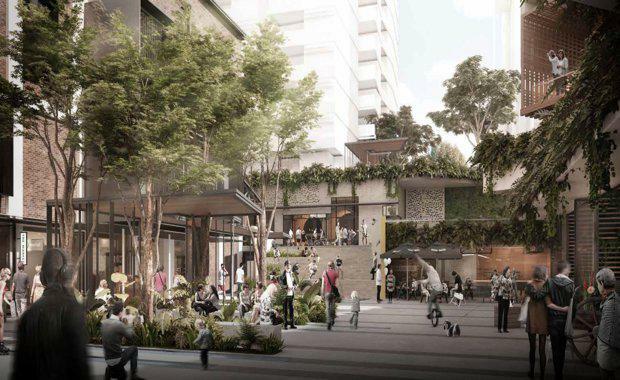 The Queensland Deputy Premier and Minister for Infrastructure, Local Government and Planning Jackie Trad has on Wednesday called-in the $800m West Village development application on the Absoe site in West End despite having received prior developmental approval. It is understood that by November, she will be required to approve, reject or make changes to the development. West Village developers Sekisui House want to build seven 15-storey towers for 1,350 apartments on the 2.7 hectare Boundary Street site, as well as 18,500 square metres of retail and commercial outlets. Stage one of the development, two 15 storey residential buildings, at the southern end of the site next to Wilson Street was approved by the council on 11 March 2016 and is unaffected by the call in. “This call-in does not affect the existing Stage 1 approval and the developer has already commenced early works for two residential towers,” Ms Trad said. “I will reassess the development to ensure the right balance is achieved for the economy, the environment and the local community, within the statutory framework." 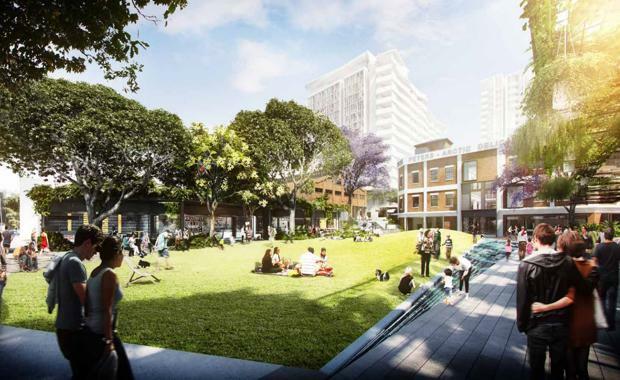 In its current state, the council-approved development takes up 95 per cent of the site, allowing only 5 per cent green space - this does not comply with the Brisbane council's city plan, nor the South Brisbane neighbourhood plan, which calls for 20 per cent green space. Minister Trad said the mixed-use development was a significant urban renewal project for Brisbane with an estimated 10-year construction period. 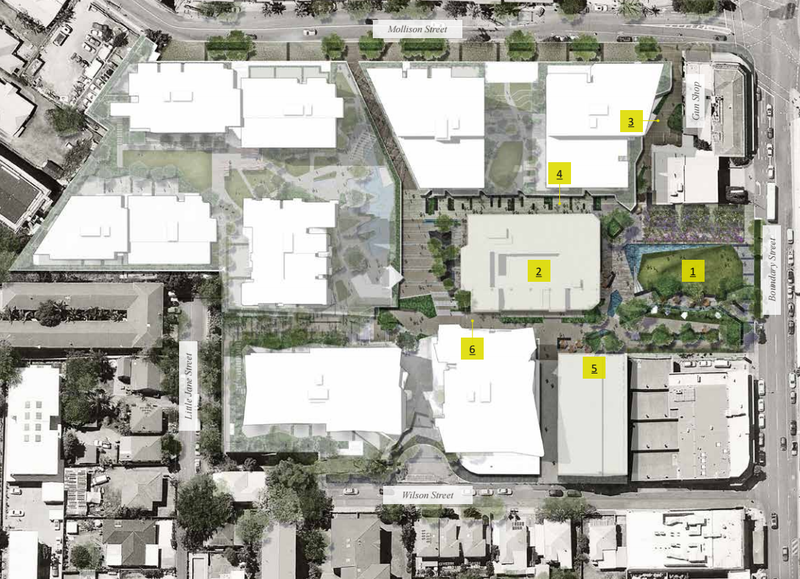 “The proposed development is a significant urban renewal project estimated to be worth $800 million, so it is imperative that we get the planning right,” Ms Trad said. “It is important for all parties to understand the call-in process does not mean we start with a blank slate, it is a process whereby the proposed development is reassessed against all relevant planning instruments, including Brisbane City Council’s neighbourhood plan. “As I have demonstrated in previous call in deliberations, my reassessment of this major project will be based solely on planning merit." “The proposed development involves state interests relating to the economy, environment, housing supply and diversity, liveable communities, the South East Queensland Regional Plan and ensuring that there is an efficient, effective and accountable planning and development assessment system. “I received and considered more than 700 representations on the proposed call-in notice before making my decision. The majority of the representations supported a call-in and believed the development involved state interests. “Each year there are approximately 20,000 development applications and this is only the third time I have used my ministerial powers to call-in an application,” she said. The site is located at 111 Boundary Street, 26 and 26A Little Jane Street, 19 and 23 Mollison Street, West End and 37 Mollison Street, South Brisbane. The proposed development consists of 1350 residential dwellings and 18,500 square metres of retail and commercial uses. It's important to note that a decision to call in a development is not necessarily the same as deciding that a development should not proceed. Rather, calling in a development is a recognition that a project should be subjected to greater scrutiny and more thorough master-planning. Property Council executive director Chris Mountford was disappointed with the decision, adding that call-in powers needed to be used extremely judiciously. “There is no doubt that the property industry will be disappointed with the Deputy Premier’s decision to follow through with a call-in of the West Village Development. “As we have stated many times, call-in powers need to be used extremely judiciously by the relevant Minister. From the industry’s perspective, they should be considered an avenue of last resort, to be used when a stalemate or roadblock is preventing a council and developer reaching agreement. This is not the case in this instance. “Call-ins that override approvals which have been issued by councils in line with relevant planning instruments (and are agreed to by the developer), undermine broader industry confidence in the planning system, and ultimately damage the State’s investment reputation. “The Deputy Premier has said that she will consider the project on planning grounds. We take her on her word that this will be the case. At the end of the day the proposal is for a masterplanned urban community in an old industrial site two kilometres from the Queen Street Mall. It is the type of opportunity cities around the world are grabbing with both hands to bring density and mixed use precincts into existing urban areas. “There is no doubt that the property industry will be closely monitoring how this call-in is assessed. 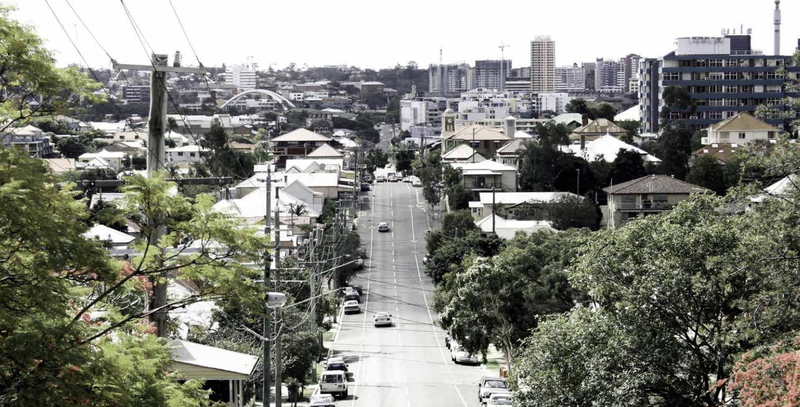 The final outcome from this call-in will provide the industry with a clear insight into the State Government’s view of urban renewal and density in the inner ring of Brisbane." Councillor for the Gabba Ward Jonathan Sri said that "ultimately, the strong community backlash against this project is motivated by the concern that the current West Village plans are squandering a rare opportunity. We will never again have the chance to masterplan and develop such a large parcel of land right in the heart of West End. Brisbane should be using this unique site for more than just highrise apartments and another shopping mall."